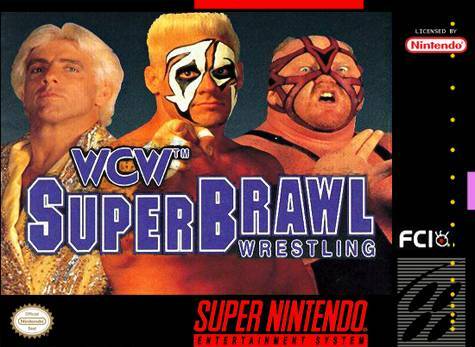 WCW Superbrawl Wrestling for Super Nintendo allow you to play as or against Vader, Ravishing Rick Rude, Ric Flair, Ricky "the Dragon" Steamboat, Johnny B. Badd, Ron Simmons, Barry Windham, and Sting. Each wrestler has unique moves including their individual finishing moves. You'll wrestle singles or tag team competition. Go head-to-head or team up with a friend. During each match, Tony Schiavone provides commentary on all of the action.